I’m sure I say this every single year, but how are we this far through January already? There’s been a few exciting projects over the last couple of months, the first of which I’m going to share with you today. 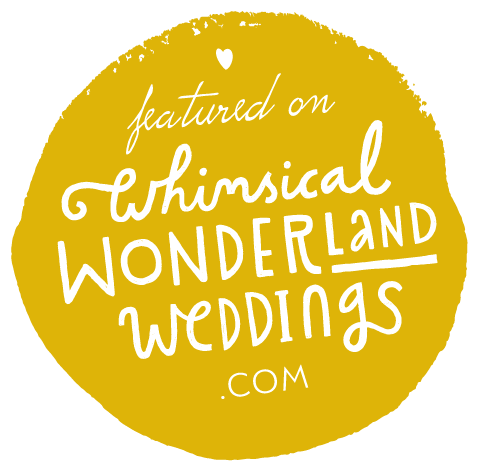 Rebecca and I first got talking about her wedding plans at Chosen Wedding fair last spring. 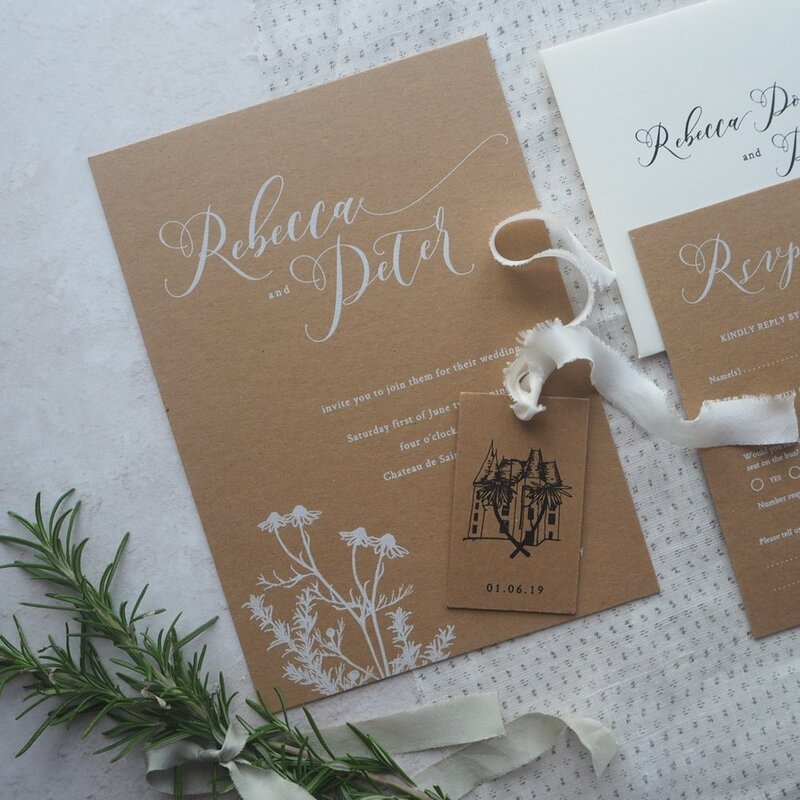 She loved the idea of an invitation suite that was rustic yet elegant, tying in with the stunning french Chateau venue she and her Fiancé had chosen. 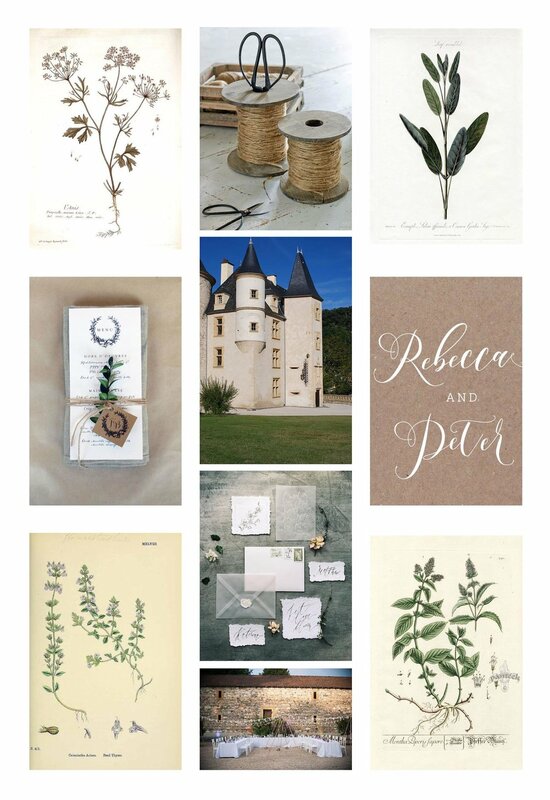 As we started the design process quite a way out from the wedding, Rebecca’s ideas had time to evolve. What we always came back to though, was a simple design, printed in white ink on kraft. The initial concept: rustic yet elegant with a definite sense of place. After going through a few different ideas, we settled on a bespoke botanical design incorporating rosemary and chamomile. 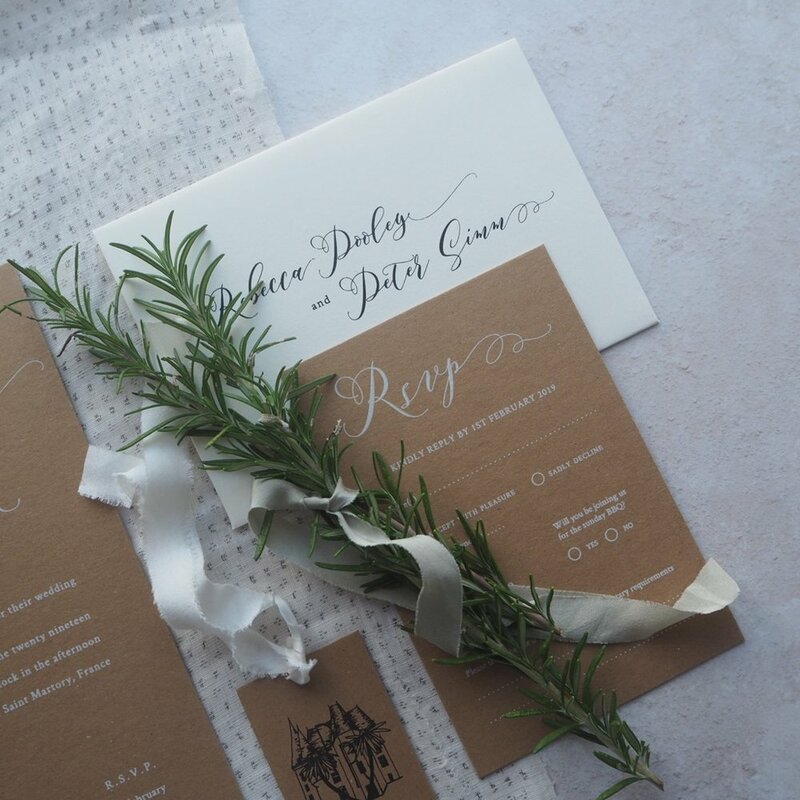 Their choice of mediterranean herbs really reflects that Rebecca and Peter were determined that their wedding should be personal to them. 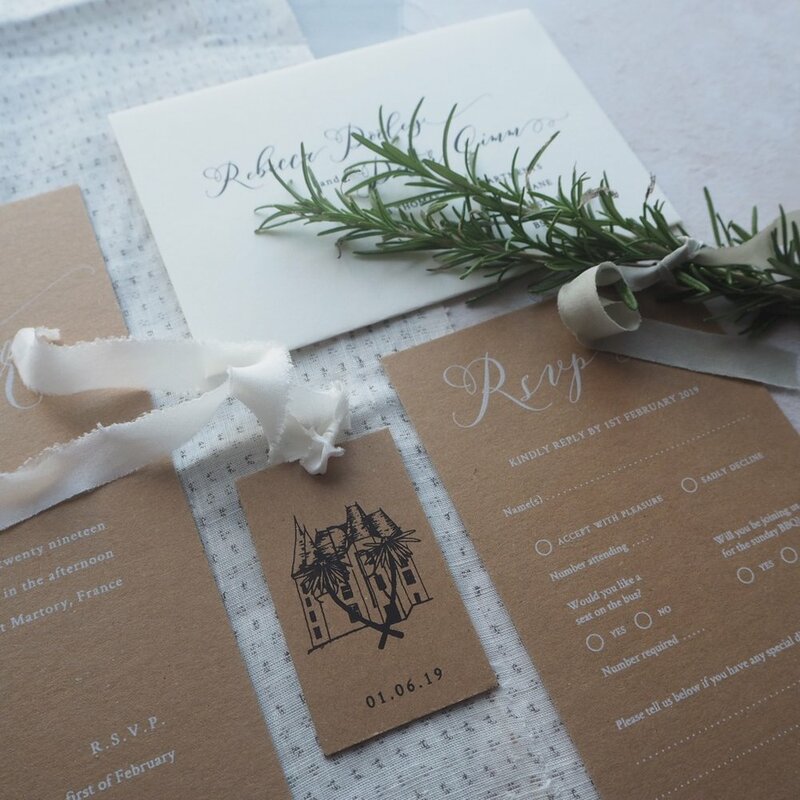 Their invitation suite became about creating a sense of place for their guests. 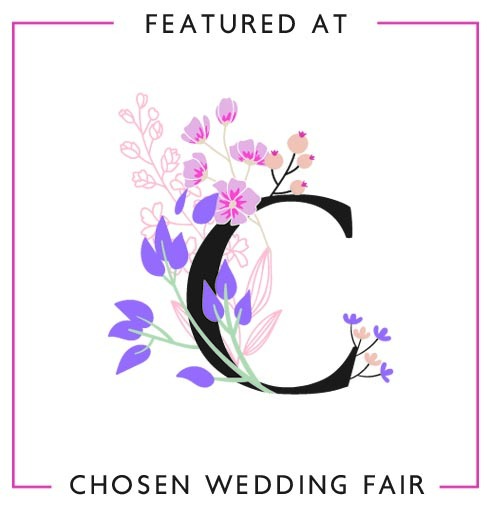 Perhaps my favourite element is the one I can take the least credit for; the little tag sitting on the front of the invitation bundles is an illustration by Rebecca’s sister of the wedding venue. 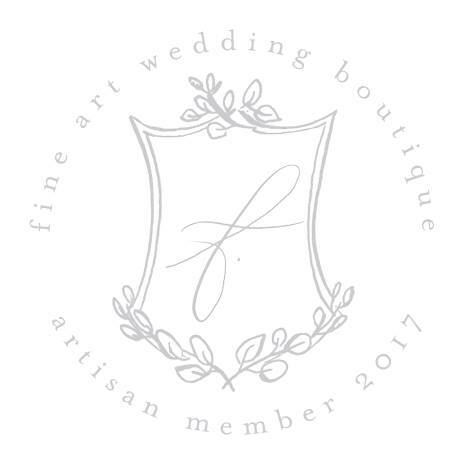 It’s such a personal and special thing, and exactly how the couple had described wanting their wedding to be; when Rebecca showed me the drawing during our consultation, we had to incorporate it somewhere. For a final finishing touch, Rebecca sourced some little hot air balloon charms and we selected natural raffia to keep everything together. 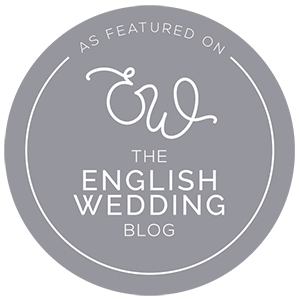 As Rebecca and Peter have chosen to get married in France and wanted to make a weekend of it for their friends and family, there was quite a lot of information we needed include in the invitation pack. 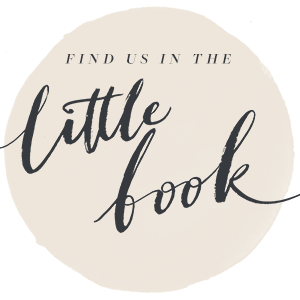 We opted for digitally printed information booklets to prevent the finished bundles getting too bulky as well as helping keep within budget. 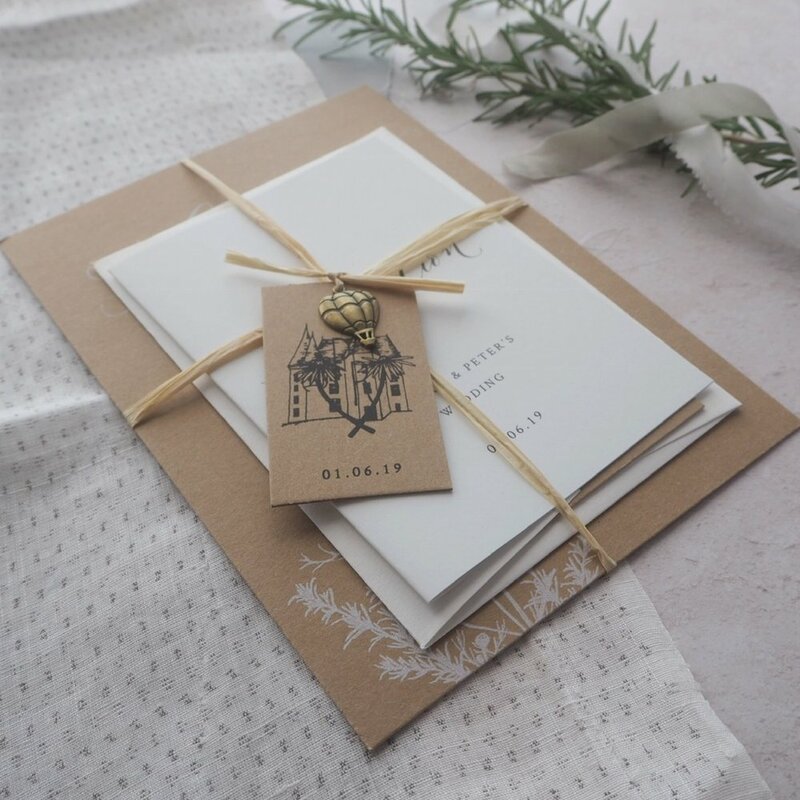 If you’d like to discuss your own bespoke stationery suite, get in touch and tell me about your plans - I’d be delighted to help you bring your ideas to life!